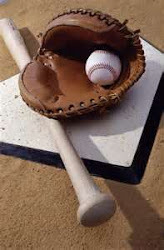 Yesterday I shared with your my initial catcher rankings for the 2019 fantasy baseball season and so today the focus shifts to those backstops yours truly will likely be drafting/not drafting this spring. Williams Astudillo: Listed at just 5-9 but carrying 225 pounds, Minnesota Twins backstop Williams Astudillo is a very interesting sleeper candidate given his rare contact skills that resulted in just a 3.1 K/9 rate in his 30 game debut with the team in 2018. Prior to the promotion, Astudillo hit 12 home runs, stole 7 bases, and batted .276 at Triple-A so there are some intriguing tools here for what will likely cost a very late round pick. Danny Jansen: As I preach every spring, looking for value is the way to go at catcher and that included young prospects on the verge or making/sticking in the majors or veterans who are coming off a down season. Qualifying for the former would be Toronto Blue Jays catching farmhand Danny Jansen who hit 3 home runs and batted .247 for the team in his 81 at-bats debut in 2018. While just a former 16th round pick, Jansen has batted .291, .328, and .275 the last two seasons in the minors split between Double-A and Triple-A and his 44/49 BB/k rate at the latter level last season really show an ability to handle the stick. With Russell Martin having been sent on his way, Jansen will have every opportunity to make the starting spot his own. Wilson Ramos: Those if you who are longtime readers of the site know how I pump up Wilson Ramos every spring and for good reason as he really can hit and yet always come cheap at the draft table due to perennial injury woes. Now the injury threat is real and will only be exacerbated with no DH in the NL after Ramos inked a deal with the New York Mets but the numbers are always there on a per game basis. Omar Narvarez: Not sure how believable the 9 home runs in 322 at-bats were for Omar Narvarez with the Chicago White Sox a year ago as he filled in for the suspended Welington Castillo but a fresh start presents itself in Seattle where Mike Zunino departed. Narvarez has shown very good bat control in the form of high walk totals and impressive strikeout rates which could make him the rare catcher to hit for average however and if the power does hold from last season, we could have something here. Francisco Mejia: I loved Mejia going back to 2017 and that won't change now despite a bit of a rough debut with the San Diego Padres last summer. Still considered a top-ten prospect heading into the season, Mejia has done nothing but hit in the minors with a very long line of impressive averages to go with power that could approach 20 bombs. Even better, the Padres plan on having Mejia play all over the field which will add to the versatility. Wilson Contreras: Not sure the price will fall that far given how catching remains incredibly shallow but I will take a shot and buy low if the Chicago Cubs' Wilson Contreras gets dinged at the draft table coming off a very rough 2018 campaign. After looking like a future star in 2017, Contreras dropped off everywhere last season to the point he was being released outright last summer. There is still youth and upside remaining though so don't hesitate to try again. Buster Posey. Salvador Perez, Gary Sanchez, J.T. Realmuto: I put all four of these guys together because they all represent the consensus most costliest options at catcher which I won't pay the freight on. A year ago at this time Posey and Sanchez were drafted among the first four rounds and both bombed badly which just adds another chapter to the endless narrative of how foolish it is to draft a catcher early. Stay the course avoiding such a strategy.